The Arabic version of the name may sound weird at first, but this seemingly simple soup is actually delicious! In the old days, my mother used to make pasta at home because she liked to make dough at home, and since she didn’t have a machine to help, she would make it all by hand. 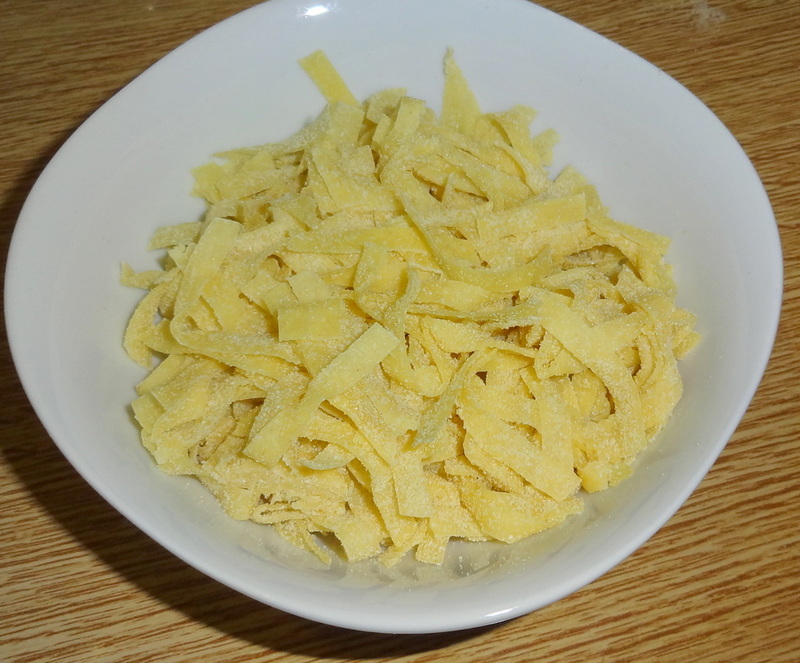 Today I also prepared the pasta at home, but these days I use a pasta machine to roll and cut it. It can also be made with ready made pasta; either way this soup is delicious. It is winter and the cold weather has arrived. 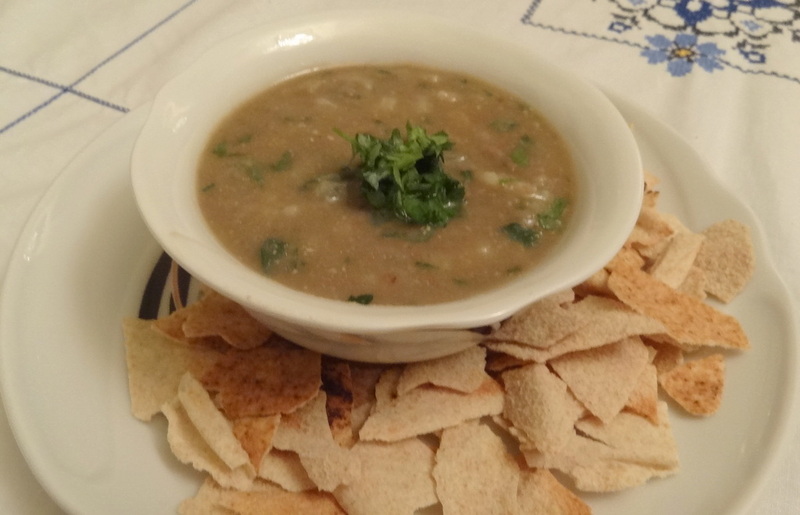 Winter is the season when Swiss chard (an iron rich leafy vegetable) is abundant in Lebanon, and today I prepared a delicious soup which consists of lentils and lemon which is quite suitable for this cold season. I mentioned earlier that salad is a free dish; you can mix whatever you like with any kind of vegetables, use the dressing you like and it will be delicious. 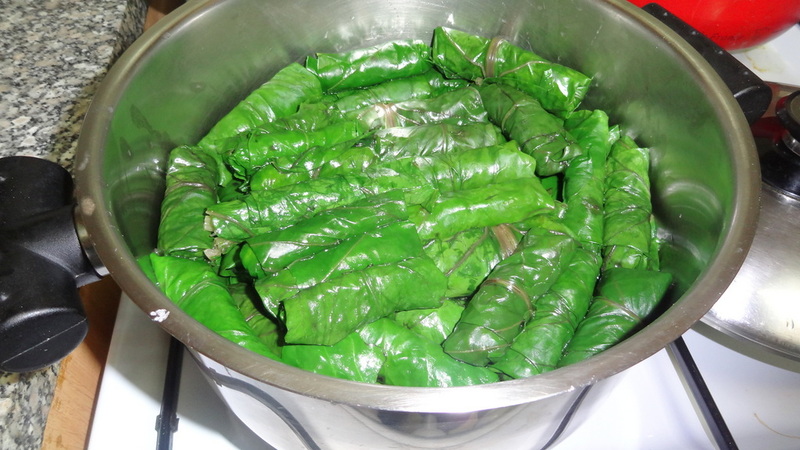 Green lentils are very commonly used in our cuisine. 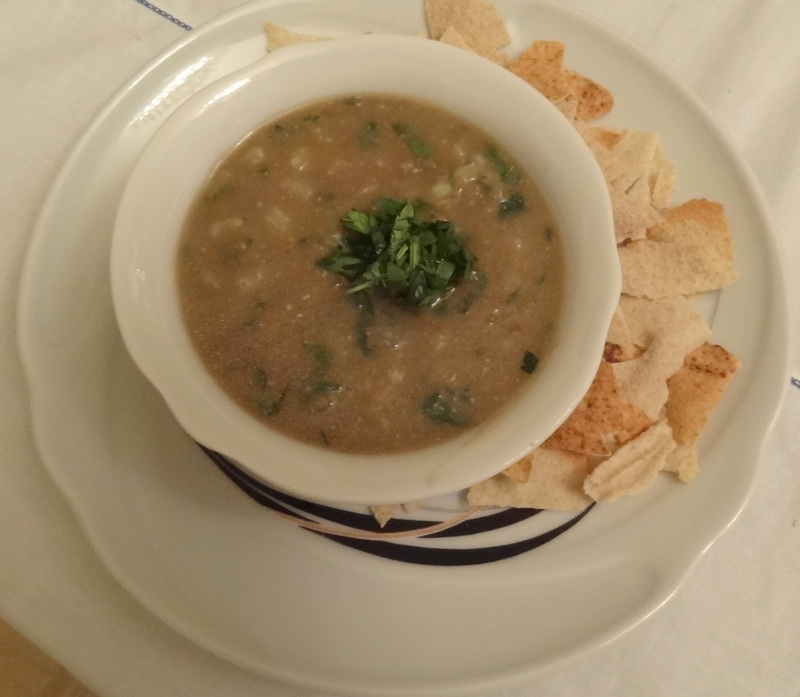 It can be made as Mjaddara, Mdardara, Lentil soup or Adas bel Hamod. I always boil lentils in large quantities and keep the remaining lentils in the freezer, to save time when making another dish. 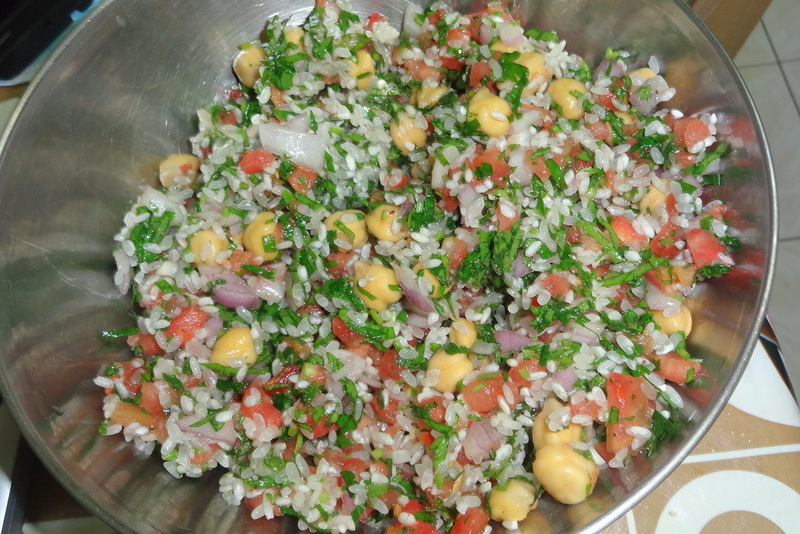 The Lentil Salad is a plate that my grand mother used to make always when she invited us for lunch. 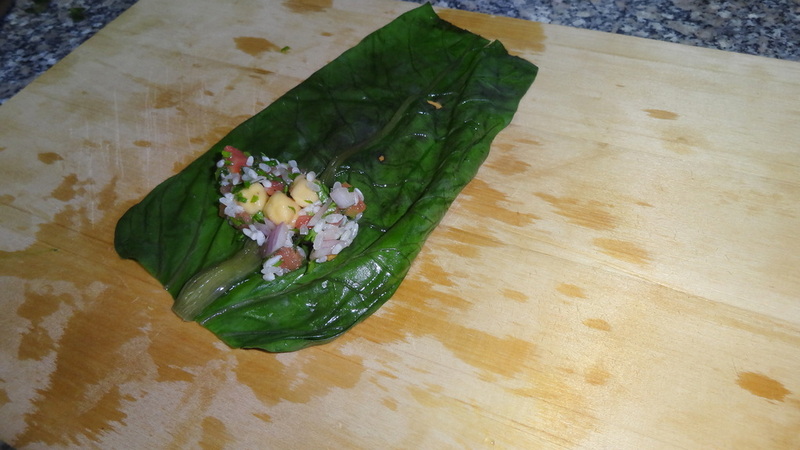 It is the kind of meal who can be eaten as a side dish, appetizer, or even as a main meal. Allow to cool, then carefully turn the pot upside down on a serving plate.